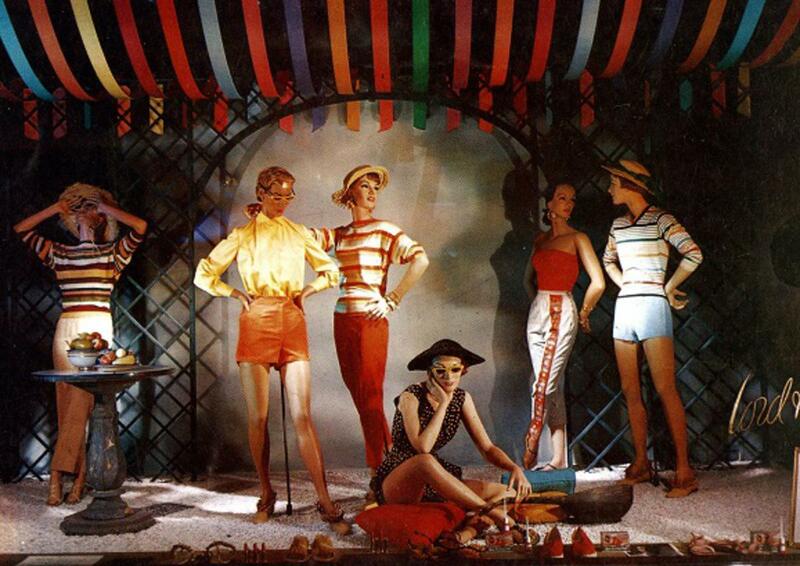 Lord & Taylor Department Store New York City, window display mannequins July 1954. "Colorful ribbons create a canopy overhead while gaily dressed mannequins pose beneath. The technicolored summer, look at it only through sunglasses! The original Italian designs we see brightening many an American weekend!" As seen in View and Reviews, Retail Reporting Breau, July 1954 issue.